Catholics, people of faith, and the public in Marion and Polk counties are invited to a Simple and Delicious Soup Supper at Queen of Peace Catholic Church in Salem on Saturday, Feb 17th. the faithful to promote the conversation among all voters to do the right thing and repeal the death penalty in Oregon. Tickets can be purchased by phone at (503) 990-7060 or online at oadp.org. To secure 8-person table sponsorship for only $80, call (503) 990-7060. Naked Darrow,” a one man play by nationally renowned Darrow portrayer Gary L. Anderson, is coming to Loucks Auditorium at the Salem Library This recent NYC Off-Broadway production is produced by the Oregonians for Alternatives to the Death Penalty (OADP) and the Clarence Darrow Foundation. Naked Darrow is a provocative look at our most hated and revered attorney, Clarence Darrow, as his great mind slips away. The performance will take place at 6:30PM on Wednesday November 15th. Tickets are available in advance for $20 by calling (503) 990-7060 or going on line to www.oadp.org. The Honorable Paul J. DeMuniz, former Oregon Supreme Court Chief Justice. Salem Area Fellowship of Reconciliation: Working for peace and justice through non-violence. National Lawyers Guild, Human rights over property interests. Becky O’Neil McBrayer is the Director of Community Programs at St. Andre Bessette Catholic Church in Downtown Portland. She is alumni of All Saints School, Central Catholic High School, and Bellarmine University. In 2006, Becky’s Mother, Timmie O’Neil, and Stepfather, Craig Stumpf, were brutally murdered at the hands of her youngest brother, Joseph. Her family was thrust into the judicial system as Clackamas County prosecutors argued for the death penalty. Becky’s Catholic faith and journey of hope led her to the abolition movement. She is a member of Murder Victims Families for Reconciliation and serves on the Board of Directors of Oregonians for Alternatives to the Death Penalty. Frank Thompson, former superintendent of the Oregon State Penitentiary, has spoken with legislatures in Maryland and Nebraska; with governors in Colorado and Oregon; and was recently published in the New York Times. On Monday, Oct 17th at Salem’s Center 50+, citizens can have a conversation with him. Salem/Keizer area residents can hear his powerful message at the event sponsored by Oregonians for Alternatives to the Death Penalty. 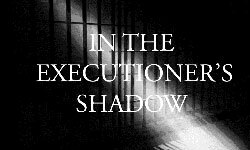 The evening’s program will also feature a brand new 13 minute film "Death Penalty Fail: A Lethal Injection” that dramatizes the events surrounding the “botched” executions that have occurred in 48 documented accounts, in 13 different states. A simple soup supper will be served, starting at 6PM on Monday October 17th. Admission is only $15 and seating is limited. Tickets can be secured by calling (503) 990-7060 or purchased through PayPal with the button below. For tickets use the PayPal link below to with a credit card, or Call (503) 551-1349 to order tickets by mail. Tickets $65, discounted table sponsorships available.